This is based on samples provided by the winery or another organization acting on their behalf. Over the years Flora Springs was always one of our stops when we visited Napa Valley. 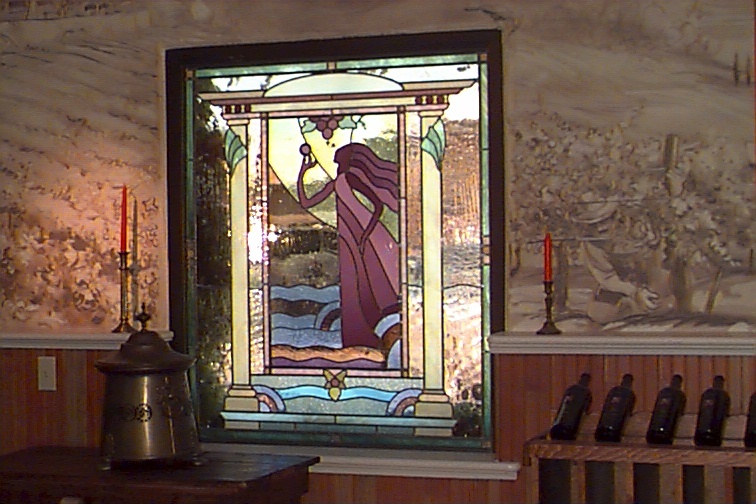 We took the two pictures below of the stained glass and wall murals during a visit in late August 2001, a couple weeks before 9/11. When I was offered a couple samples from them, I was excited to reacquaint myself with these wines. One of my favorite “Super Tuscan” style red wines from California is the Flora Springs Poggio del Papa. Even though this wine is not part of this post, I had to give it a “shout out”. The current vintage, 2012, is a blend of 69% Sangiovese, 16% Syrah, 10% Petite Verdot and 5% Malbec, all from the Napa Valley. This wine is available only at the winery or via their website. Flora Springs, located in the Northwest corner of the Rutherford appellation at the base of the Mayacamas Mountains, was founded in 1978. The stone cellar of Flora Springs is a once abandoned “ghost winery”. It was Flora Komes who along with her husband Jerry that found the area while looking for a place to “kick off their boots”. Flora was the one who saw the possibilities hidden behind decades of neglect, over-grown ivy, and shifting rock walls. 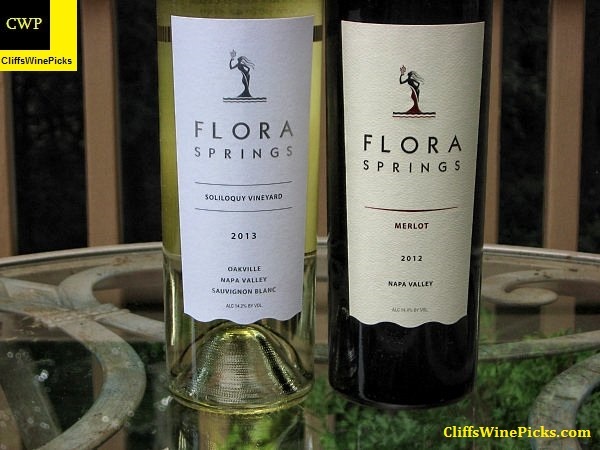 The property’s winemaking roots go back to the 19th century but if was the work of Flora and Jerry’s children, John Komes and his wife Carrie, and Julie Garvey and her husband Pat Garvey, that have etched the legacy of Flora Springs. As both artisan winemakers and growers, the family is committed to the traditions of fine winemaking and responsible stewardship of its 650 acres of vineyard land for future generations to savor and uphold. Today, ninety percent of Flora Springs’ red wines are sourced from its organically-farmed estate vineyards, and all of these wines are crafted in their solar-powered 19th-century stone winery and caves. Much more about the winery, the family and the wines is available on their website by clicking here. I highly recommend checking out their “Working with Nature” and “Farming Responsibly” sections to read about their dedication to sustainability. These bottles were supplied by the winery and Mora Cronin of Cronin Communications. Cronin Communications is a marketing communications and public relations agency based in St. Helena, California. Specializing in the wine industry, the firm provides services including strategic positioning and brand messaging, copy writing and media relations. For more information, contact moracronin@comcast.net. 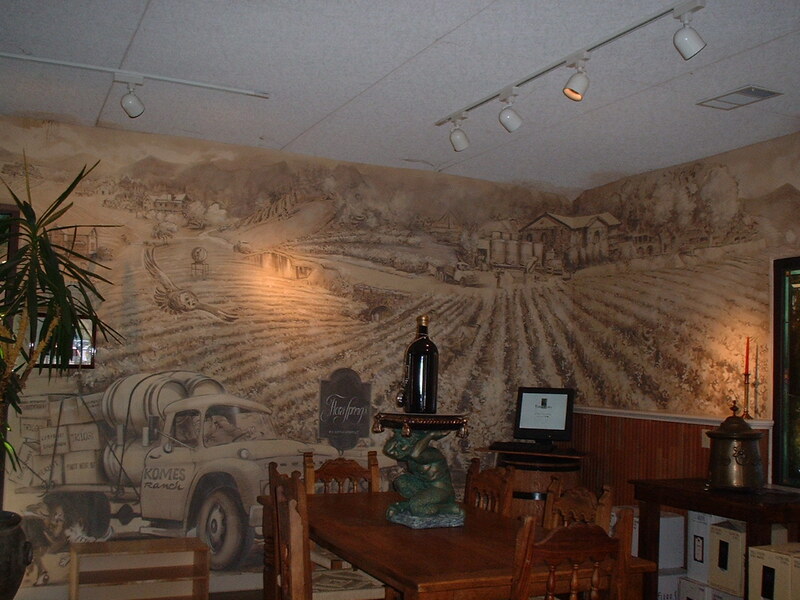 In 1989, the winery handcrafted the first vintage of their Soliloquy Vineyard Sauvignon Blanc. 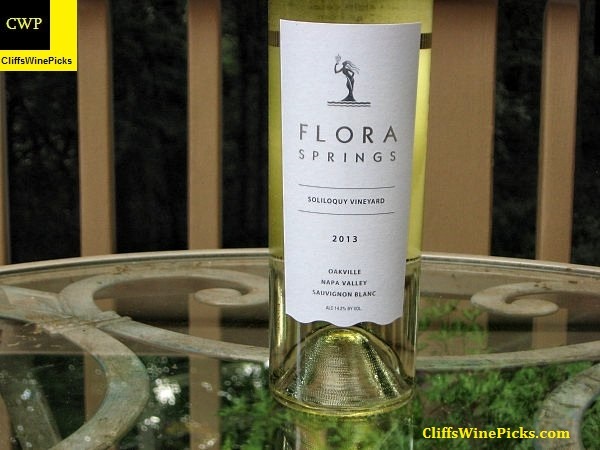 This one-of-a-kind clone is located in the heart of the Oakville appellation and has been certified by UC Davis as the “Soliloquy” Sauvignon Blanc clone. Even though the Soliloquy clone is growing in a vineyard in the heart of Cabernet Country in Oakville, the Komes family has kept the Sauvignon Blanc, in part to protect the proprietary Soliloquy clone they found there. This wine is 100% Sauvignon Blanc (57% Soliloquy clone, 43% Musque clone). After fermentation, the wine was aged 7 months in a combination of concrete and stainless steel tanks, oak barrels and stainless steel drums. A total of 4899 cases were produced. This wine has 14.2% alcohol by volume and the bottle is sealed with a natural cork. 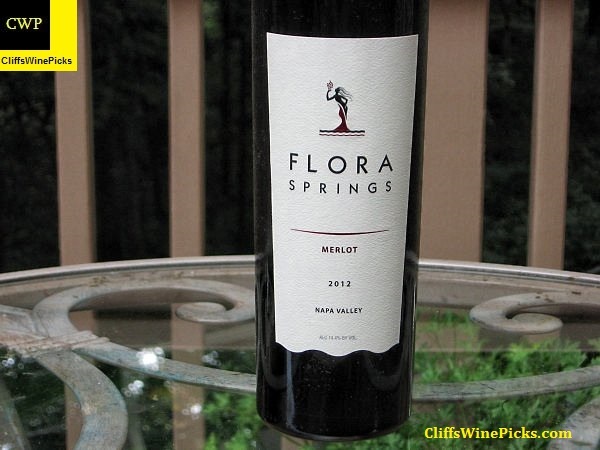 This 100% Merlot is sourced from winery owned sustainably-farmed vineyards in St. Helena, Rutherford and Pope Valley. Each vineyard adds a little something to the blend making the finish product “greater than the sum of the parts”. After fermentation, the wine was aged 15 months in 95% French oak and 5% American oak barrels with a mixture of new and seasoned. A total of 5300 cases were produced. The wine has 14.4% alcohol and the bottle is sealed with a natural cork. These wines, as well as the others produced by the winery, represent some of the better quality to price wines coming out of the Napa Valley. If you follow me on Social Media, you know I am not a big fan of “value priced” Merlot wines. This Merlot exceeds the price I would call a week night wine, but the quality provided for the suggested retail price is amazing. If you see this wine on your local wine store’s shelf grab a bottle or two. This is original to CliffsWinePicks.com. Copyright 2014 Cliff’s Wine Picks.